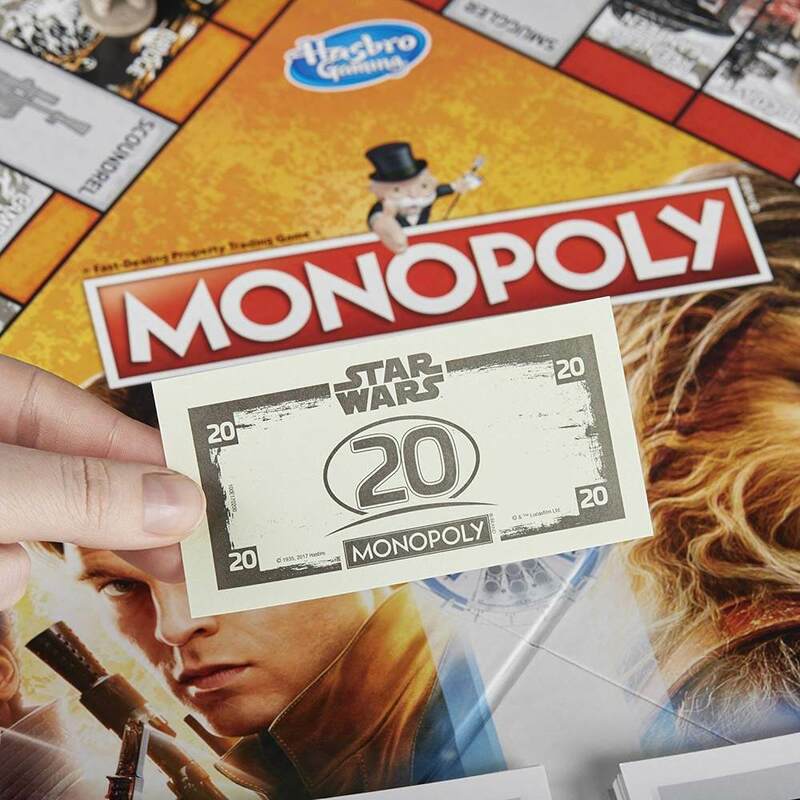 Can you take over the Millennium Falcon? 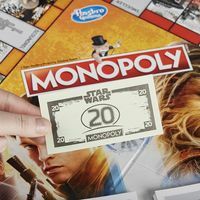 Join Han Solo on your quest for riches! 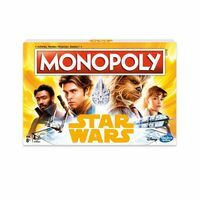 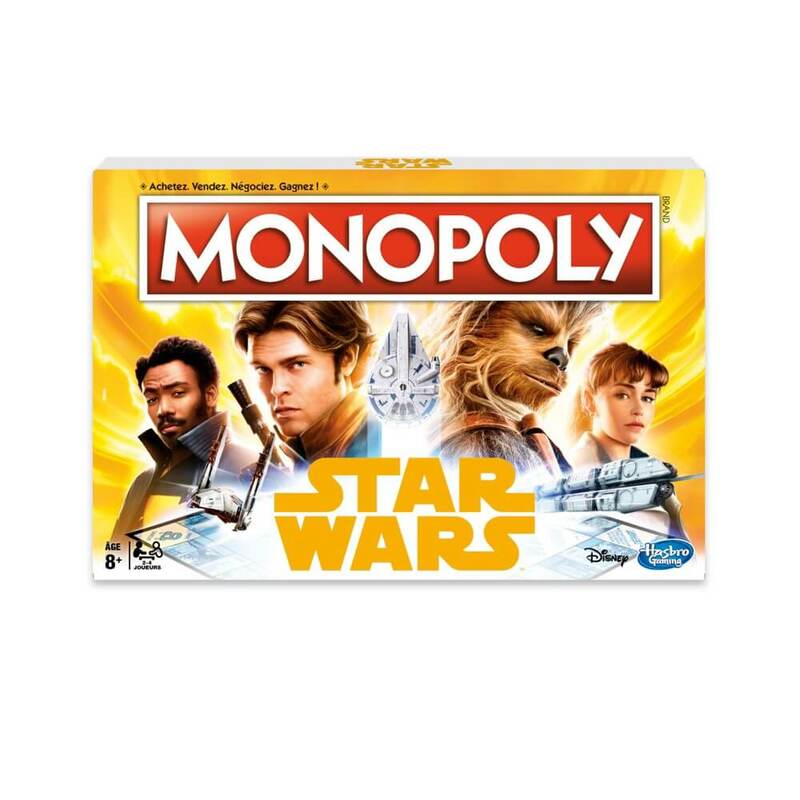 Based on classic Monopoly game play, Star Wars fans will love this Star Wars Han Solo Monopoly boardgame. 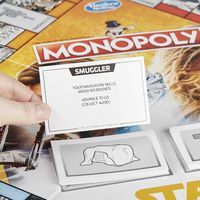 Players can move across the themed game board to uncover memorable moments from Han Solo's life while trying to outwit their opponents. Featuring unique graphics of the beloved character from the iconic Star Wars series, you'll be racing across the galaxy to own it all! 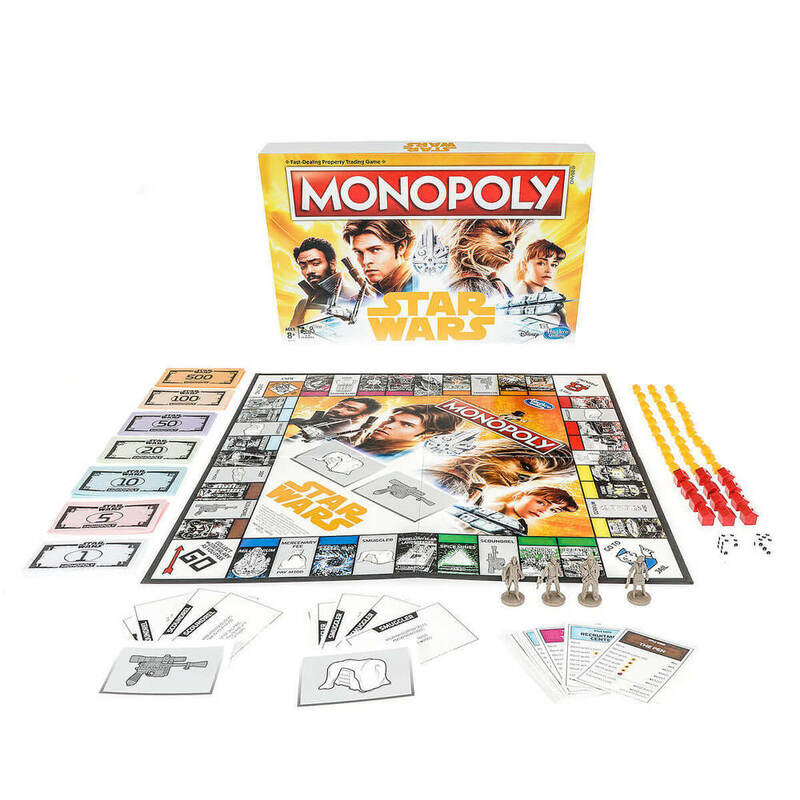 Choose to play as one of your favourite characters (listed below), and re-live the story of the Star Wars Han Solo Anthology movie. 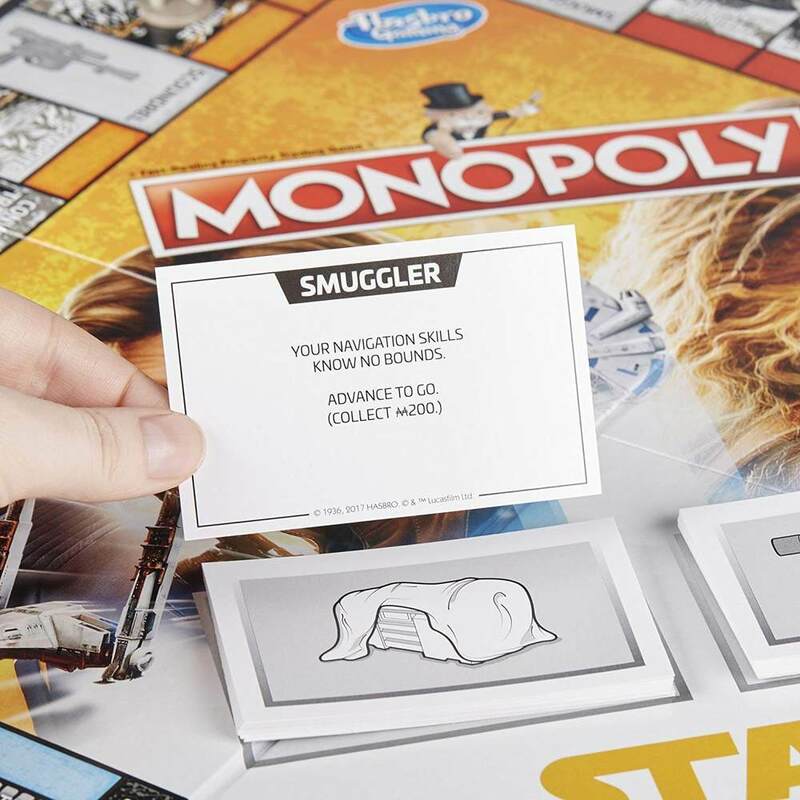 Wheel and deal to become the best smuggler in the galaxy by buying up the Millennium Falcon, Kessel Run, the Spice Mines and more!